As a financial advisor and business owner, most likely you've periodically reviewed your business planning process. This process presents an opportunity for you to share your firm's strategy, policies, and practices with employees. But it's also the chance to set the expectation that performance evaluations will be based on contributions to the firm's goals. Like many advisors, however, you might feel that building an employee performance management program is time-consuming and stressful. But what if I told you such a program could lead to increased productivity, enhanced employee morale, a higher quality of work, and reduced turnover? Now that I've piqued your interest (I hope), let me show you where to begin. To build value, your firm relies heavily on intangible assets, so it's critical to assess how employee performance contributes to the value you offer clients. In fact, the Society for Human Resource Management suggests that companies with performance-enhancing cultures significantly outperform those that do not focus on setting performance goals or holding employees accountable for achieving objectives. Consistent feedback is the key to a successful employee performance management program. To be sure, regular two-way conversations with your employees can help you avoid most performance problems. Moreover, if you provide feedback on a regular basis, you'll find that performance reviews go more smoothly because your employees won't be surprised by the assessments you deliver. Employees know exactly what is expected of them—the goals that they're working toward and the performance benchmarks they should meet. This, in turn, allows them to contribute to the firm at a higher level. You will gain valuable insight into what motivates your employees. Firms are more likely to retain motivated employees who understand their roles—and the roles of others—in contributing to the overall success of the firm. But they can also be used to support decisions around training, career development, and compensation. 1) Manager responsibility. The appraisal of employee performance is part of your normal day-to-day responsibility, as you plan and assign much of your employees' work. If you do so, employees will know what success looks like and understand how their performance will be measured. 3) Communication. Communicate goals and other expectations to employees before the evaluation period begins. They will understand what is considered good performance, and you can make corrections early on. 4) Continual feedback. There's an old saying that goes something like this: "If you don't know there's a problem, you can't fix it." Applied to this discussion—if you wait to provide feedback, you don't give employees the opportunity to improve performance. Negative feedback that comes as a surprise during an annual performance review can lead to challenging interactions and hurt feelings. And as noted previously, employees are more likely to accept suggestions for improvement and/or maintain their performance when they receive feedback continually. 5) Developmental coaching. An employer's key responsibility is to coach employees on good performance and to collaborate in employee development. 6) Performance linked to compensation. Effective compensation systems link performance achievements to salary increases and incentive compensation. For most advisors, business has continued to improve in the wake of the 2008 financial crisis. Still, it's important to continue to be prudent when you consider adjustments to fixed costs. Such fixed costs include employee compensation. Base salary increases. Some advisors award base salary increases when employees demonstrate an enhanced skill set that allows them to contribute to the firm at a higher level. Still, base increases are often modest these days, which can be a dramatic change for employees who may otherwise have been used to annual merit increases. Incentive compensation programs. Many firms are reexamining their incentive compensation programs to find better and more creative ways to reward, incentivize, and retain employees. Incentive programs can be tied to a specific reward—often a fixed dollar amount—when a specific goal is attained. Adjusting these programs as your firm's goals and objectives change allows you to manage fixed costs more effectively. Incentive compensation programs also reinforce the importance of specific business priorities by linking employee goals to the firm's goals. This can ensure that both the firm and employees are on the same page and working toward the same outcomes. Set goals for your assistant that directly relate to creating a paperless office. During the first quarter, she might work with your firm's technology team or an outside consultant to choose the appropriate scanner, purchase it, and have it installed and running appropriately. For the second quarter, her goal may be to scan and upload information for clients whose last name begins with the letters A through F.
In addition to helping achieve the stated goal, this approach can help minimize the attitude of entitlement that sometimes develops within the merit increase system and instead reinforce more of a pay-for-performance mentality. Whether you provide base increases, incentive compensation, or a combination of the two, it is important to create a value proposition that works for your employees. You need to understand what motivates them to ensure that what you provide continues to motivate them to perform at a high level. Depending on your business model, changes may involve giving your employees flexibility in terms of hours or how they get their work done. Enhanced career development or flexible work schedules may also help to motivate staff. In any case, by discovering what's important to your employees, you will help generate the greatest return for both your business and your employees. 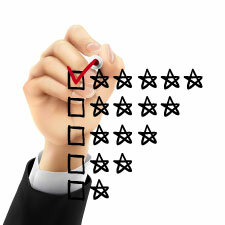 Are your employees satisfied with your performance management system? Do you link employee compensation to performance? Please share your thoughts with us below.